-There was an articled in the April 21st edition of The Daily Telegraph entitled ‘Want to write? Expect to earn £11,000 a year’. To many, it is the dream job: toiling to create a fine work of literature or academia. But the reality of being a writer has been laid bare in a new report highlighting the low earnings many endure. A study, conducted by Queen Mary University of London, showed only one in ten authors can afford to earn a living from writing alone, a drop from 40% a decade ago. A typical professional writer, it found, earned £11,000 annually. In real terms, the average earnings of authors is down 8% since 2005, according to the report commissioned by the Authors’ Licensing and Collecting Society. Five percent of authors earn 42.3% of all income earned by writers, with the struggle for those working in non-fiction and academia particularly acute. The study points to a publishing world where houses are less willing to take a chance on new authors, opting instead for ‘safe bets’ and celebrity writers. The report, entitled The Business of Being an Author and based on a survey of nearly 2,500 writers, noted: ‘For the majority, writing remains a low-earning profession.’ A remarkable 17 percent of writers did not earn any money in 2013 despite 98% having had work recently published. Women were found to earn 80% of the income of their male counterparts. Nicola Solomon, the chief executive of the Society of Authors, said publishers had been compelled to tighten their belts in recent years, investing in high-demand authors. ‘There is a tendency towards safe,’ she said. ‘But do we want safe? Surely the whole point of reading is to be introduced to things that are daring and challenging and different?’ The report was ‘a bit depressing’, she said. Earlier this year, a YouGov poll found being an author was the most desirable job in Britain, with 60% of people claiming they would like to do it for a living. This doesn’t surprise me and it confirms some of my own experience. For me, as a retired business executive, I’m not writing to make a living. I’m writing because I enjoy it, and because people who read my books tell me that they enjoy them. I don’t feel that I have to concentrate on ‘what will sell’. Rather, I can concentrate on what interests me and what will interest some people. As long as I’m in good health, I don’t really have a deadline. 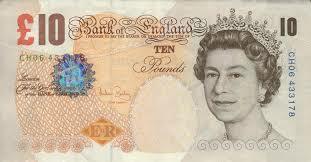 Someday, if I’m lucky, one of my novels will ‘go viral’, and I’ll have a £11,000 windfall! 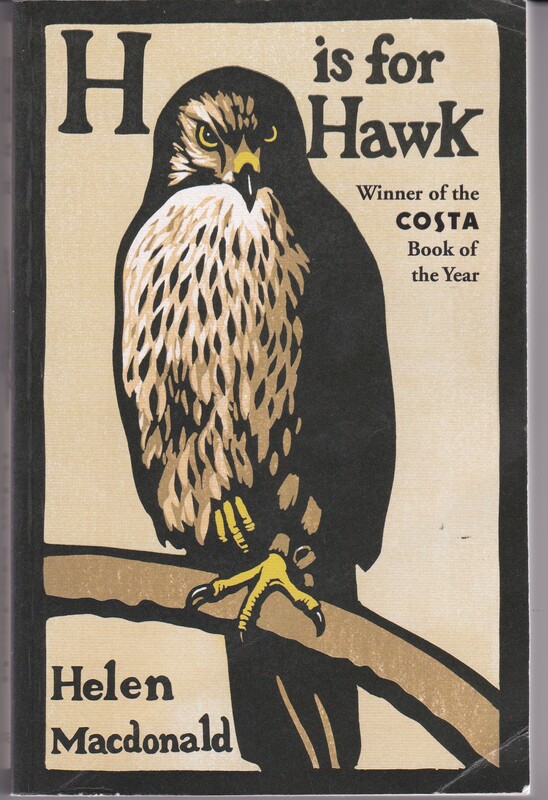 Having read Henry Marsh’s Do No Harm, which was shortlisted for the Costa Book of the Year Award, I have now read H is for Hawk by Helen Macdonald which won the top prize. H is for Hawk tells the experiences of Helen Macdonald, a writer, illustrator, historian and lecturer at Cambridge University in training a wild hawk. Macdonald had some advantages in this task: she was fascinated by falconry and hawks as a child, and she had experience of hunting with hawks, but she had never trained a wild hawk to hunt. There was a major disadvantage: her much-loved father, a renowned photographer, had just died suddenly when she acquired the hawk for £800 from a breeder in Northern Ireland. Much of the book deals with the intense commitment and frustrations which the falconer must endure over the lengthy process of winning the trust of a wild predatory animal so that it works together with the falconer in killing wild game. The goshawk in the book has personality: feral, proud and beautiful, unpredictable, iconic. One learns, incidentally, that Macdonald is a scholar, an intelligent and sensitive person, but the author also exposes her vulnerabilities: in particular, her crippling grief over the loss of her father. In parallel with the story of Macdonald’s goshawk, she tells the story of T H White, now deceased, a dedicated, but somewhat eccentric falconer and the author of The Goshawk. We learn of his mistakes and his anguish as he tries to train a goshawk. So this book operates at several levels: a present, objective account of the training of a wild hawk; there is a past, reported account of the training of a different hawk; there are psychological explorations of both the author and her role model, T H White. This may sound rather complex, and, in a way, it is, but Macdonald weaves it all together beautifully so that it is quite natural. H is for Hawk is clearly a major labour of love. This love and its result: a durable classic about nature, surely merited the Costa Award. No less a literary figure than Sir Salman Rushdie has labelled a pair of novelist friends (Carey and Ondaatje) as cowards. In case you didn’t hear about it, on May 5, the global writers’ organisation, PEN, awarded its annual Freedom of Expression Award to Charlie Hebdo, the French satirical magazine which lost eight journalists during an attack by Islamic extremist gunmen in January. 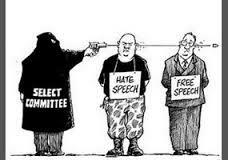 Charlie Hebdo had satirised Islam – amongst other targets. Six prominent authors: Peter Carey (two-time Booker Prize winner for True History of the Kelly Gang and Oscar and Lucinda), Talye Selasi (author of Ghana Must Go), Michael Ondaatje (Booker Prize for The English Patient), Rachel Kushner (author of Telex from Cuba and The Flame Throwers), Francine Prose (who received the PEN translation prize in 1988), and Teju Cole (Nigerian-American writer) withdrew from the PEN event. In my view, Ms Glanville has hit the nail on the head: the objecting authors are confusing supporting freedom of expression with supporting material with which you don’t agree. If one starts saying, “Well, I don’t think they should have said that and therefore I don’t think they deserve a prize for saying it”, one introduces an element of censorship into the process, which is intolerable. For me, as a writer, the question is: what should I say? I should be the judge of whether what I write is so offensive to some group of people that they will not see it as rational, but only as an attack. If what I say is seen only as an attack, why do it? My writing includes some religious content: Christian, Muslim and Jewish, and these passages, in particular, are where I have to ask the question. But once I have answered it and once I have written, I fully expect that even those who disagree with what I’ve said will support my right to say it.